If there is something truly unique about South African football - of course, beside the famous vuvuzelas - it is the the pimped-up construction hat, or Makarapa, worn by football supporters throughout the whole country! Airports Council International (ACI) recently announced the top performing airports of 2009 in the annual ACI Airport Service Quality (ASQ) passenger survey. South Africa's George Airport in George (Western Cape) has been named the best airport in Africa according to the survey. You will make an early start, meandering through the rolling green hills of the KwaZulu-Natal Midlands and on to the little town of Himeville. Here you board a four wheel drive vehicle, the only means by which to tackle the steep Sani Pass. 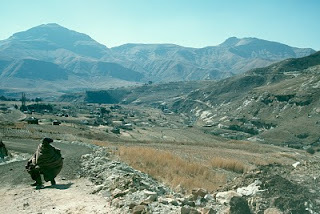 At the top lies a remote border post - passports are essential - and beyond that, the Kingdom of Lesotho. You will visit a traditional Sotho village and then enjoy lunch at the Sani Top Chalet, which has incredible views of the pass, before making our way back down the mountain. Please note: The four wheel drive vehicle will depart from Underberg. And a visit to magnificent Howick Waterfall will be included on the return journey (time permitting). Are dassies really elephants closest living relative? Yes, they are! 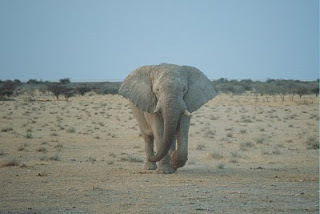 Let me explain - about 50-60 million years ago the Proboscidea (an biological order containing one living family, the Elephantidae) evolved from mammals having approximately the size of current day pigs. 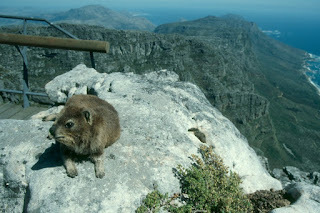 Modern scientist made morphological and biochemical tests & studies on both elephants and hyraxes (such as the rock dassie) and found out, that both species do have a lot in common. Beside all the biochemical evidences they found, the most obvious ones seem to be the similarities in the structure of the feet and teeth. Hard to believe given the fact that the African Elephant, the largest living terrestrial animal, normally reaching 6 to 7.3 metres in length and 3 to 3.5 metres in height at the shoulder, and weighing between 6,000 to 9,000 kg and a rock dassie (weight: up to 4,7kg; length: around 55 cm) are so closely related. Hostelworld: new podcast about Stellenbosch near Cape Town: "Wine capital of South Africa"
Hostelworld.com Editor Colm Hanratty was recently travelling in South Africa. While there he made a podcast about Stellenbosch, near Cape Town, called "Wine capital of South Africa". In the podcast Colm speaks to Shantal Peterson from the tourist office in Stellenbosch about the different vineyards in the region and much more. Shot, Colm, good job! Accommodation providers and tourism product owners in Mossel Bay, situated at South Afric's Garden Route, are planning to attract both South Africans and foreign visitors this winter by charging their normal low season rates during the course of the 2010 FIFA World Cup. “As a result of the media focus on accommodation and transport prices and possible price gouging during the World Cup, we asked our members to mail us their World Cup period rates – and none of those who responded will be charging anything more than they would during the rest of our low season, which stretches from just after Easter until well into September,” said Mossel Bay Tourism’s Marcia Holm on their website. Hostelworld: Party with St. Patrick in Dublin - NO BOOKING FEES for all entrants for the next 4 WEEKS! Hostelworld.com is celebrating St. Patrick's Day with the Ultimate Prize worth €3000 that you could see you and 3 lucky friends flying to Dublin this St. Patrick's Day - the Real Home of the St. Patrick's Day Celebrations! Click here to enter the competition! A Flip Video Camcorder to document your trip. Shoot videos from the Grandstand at the Parade, film your wild nights in the city or interview a leprechaun. 4 limited edition Hostelworld.com North Face Backpacks, incl. 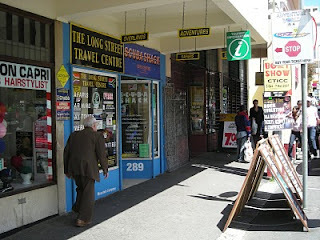 Lonely Planet Guides to Dublin and lots of Hostelworld.com top goodies. NO BOOKING FEES for all entrants for the next 4 WEEKS! Competition opens 23rd Feb 2010 and closes at 4.00pm GMT 8th March 2010. Winner will be chosen at random on 9th March 2010 and notified by email. View Terms & Conditions for more information. This cultural tour showcases some of the oldest monuments and historical sights in Cape Town. See Langa, the oldest formal township and the Gugulethu township. Visit the largest informal settlement - Khayelitsha, before popping in to a shebeen where you will meet and interact with the local community. 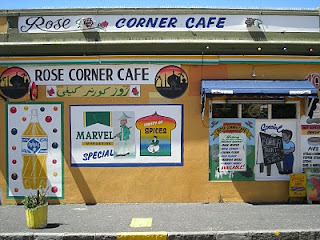 On this Cultural Tour you will visit Bo Kaap, also known as the Malay Quarter of Cape Town. Many of the inhabitants are decendants of people from Indonesia, Sri Lanka, India and Malaysia who were enslaved by the Dutch in the 17th and 18th centuries. The area is well known for the colorfully painted houses which line the steep and narrow streets. Continue to Langa, the oldest formal township, before continuing to the Gugulethu township to view local crafters at work. Next you will visit Khayelitsha, South Africa's largest and fastest growing township, with it's vibrant culture and people. Visit a shebeen (tavern) and meet and interact with the local community. Tours on a Sunday will include a visit to a church service in Langa. Starling Village Backpackers, based in Plettenberg Bay at South Africa's scenic Garden Route, has recently started a new community project called "The Bag Lady". They are using old plastic bags collected from the streets, and re-using them to make cool bags, ideal for almost any casual purpose. The project aims to help underprivileged kids buy school uniforms. The new Broken Social Scene album Forgiveness Rock Record will be out on 04 May 2010. Lufthansa is offering 1,000,000 Miles & More award miles, which is enough to the whole globe twice in First Class, for a unique & catchy name for their new LH A380. Click here to suggest a name! From 31 March 2010, the judging panel will choose the winner out of the 50 best voted name suggestions. Good Luck! The Shingwedzi Rest Camp filling station in the Kruger National Park (KNP) is temporarily closed until further notice. The closure is due to petrol tanks being flooded by the heavy rains last night (18 Feb 2010). Guests are advised to fill up their tanks at the nearest camps either at Mopani (south) or Punda Maria (north) Rest Camps. South African surfer Michal du Plessis, 19, was attacked by a believed to be a three-metre Great White Shark, which bit in his leg before he could get away from it. The attack happend during a surfing session at Yellow Sands point near the coastal city of East London. Michal survived the encounter. No bones were broken or flesh torn out. Public viewing in Cape Town will also be available at the Athlone Civic Centre, Oliver Tambo Sports Centre, Bellville Velodrome and Swartklip Sport Complex. Further public viewing facilities will also be set up in Mpumalanga's 3 district municipalities, at Mkhuhlu Stadium in the Ehlanzeni District Municipality, Mbhalenhle Stadium in the Gert Sibande District Municipality, and Mhluzi Stadium in the Enkangala District Municipality. Cape Town is a city of extraordinary diversity, history and great stories. Over centuries many nations have passed through South Africa and Cape Town is a legacy of that. Experience an intimate exchange with the locals and enjoy an evening of moving stories and extraordinary hospitality. Experience the history of Cape Town through the intimate stories and experiences of two local Cape Town families, including a home-cooked meal and stunning views over Cape Town. Visit the homes of two Cape Town characters and listen to their amazing stories of the city's history. This is South African hospitality at its finest! Accompanied by your tour guide, you visit the home of your first host, where a delicious home-cooked Cape Town dinner is awaiting you. The art of storytelling and conversation is very much alive in Cape Town, and over dinner you'll enjoy a personal and intimate view of Cape Town's history and evolution. After dinner, travel with your guide to the home of the second host for coffee, a nightcap, and more stories. You will spend about an hour in each home, where hosts and guests include local poets, Cape Town entrepreneurs, journalists and musicians. Booked on a flight with the German carrier Lufthansa anytime between Monday (22 Feb 2010, 00:00) and Thursday (25.02.2010, 23:59)? Well, the pilots just voted to strike during that time in order to gain a 6.5% salary increase as well as to protect the jobs of the 4500 German pilots. Better contact Lufthansa as soon as possible for further info about your flight(s). Click here for more info! UPDATE: click here for the "special LH timetable" during the strike! Flights to South Africa (Johannesburg <> Frankfurt), so far, seem to be operating as per usual. UPDATE: according to several German newspapers (such as spiegel.de) the strike of the Lufthansa pilots will end tonite. German pilots union agreed that all pilots will be back at work from Tuesday, 23 Feb 00:00CET. Keep an eye on their "special timetable" as LH will make use of it untill everything is back to normal. Keep an eye on their website for further notice. Irregularities of the flight operation will continue, however, on Tuesday. We will inform you of any updates to the flight operation as soon as possible on this page. click on map for booking details! Most accommodation establishments close to the airport are actually offering shuttles to and from the aiport. In case they don't, click here for Johannesburg Airport Shared Arrival Transfers or Johannesburg Airport Shared Departure Transfers. Between the 9 Feb 2010 and 16 Feb 2010 a total of 117 589 tickets (110 583 individual match tickets & 10 076 team specific series tickets) have been sold to 119 countries. 84% of it (99 042 tickets) have been sold to South African residents. About 11500 ticket applications are still being processed. More than 400 000 tickets were made available for the fourth ticketing sales phase. 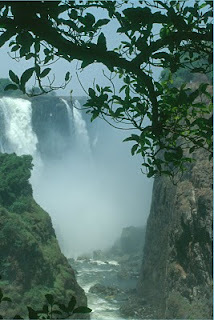 Experience the immense power of the Victoria Falls, a World Heritage Listed site and true natural wonder of the world. You'll go on a guided safari to view the falls, take a cruise on the Zambezi River and have plenty of time to relax on this leisurely three-day tour. The majestic Victoria Falls are a little over a mile (1,708 meters) wide, with a thundering vertical drop of up to 351 feet (107 meters). Your guided walking safari of the Victoria Falls takes you to one of the seven natural wonders of the world, taking in the cataracts and Livingstone's statue, and offering the chance to spot a wide variety of birds and plants. During your stay you can sit back and relax on a sunset cruise on the Zambezi River. Mid-morning departure. Hotel transfer on arrival at Victoria Falls. Afternoon at leisure. After breakfast, a guided tour of the Victoria Falls, one of the seven natural wonders of the world. This walking safari takes one through the magnificent rain forest to view the Cataracts, Livingstone's statue and a wide variety of birds and plants. Afternoon sunset cruise on the Zambezi River. After breakfast transfer to Victoria Falls Airport for return flight to Johannesburg International Airport. You MUST confirm and obtain any visa requirements prior to arrival in Zimbabwe. All visa requirements are the sole responsibility of the traveler. Airport taxes are subject to change at any time without notice. Your tour includes an estimated amount of taxes and it may be necessary to request additional taxes to be paid after booking. In the majority of cases there will be no additional amount, or it will be minimal. Due to the rise of the water level of the Orange River, the pont/ferry that allows access across the river at Sendelingsdrift border post has closed until further notice. Pls make use the of the Noordoewer border post (see map), open 24 hours a day. Last Stop for Paul is a 2006/07 independent movie by American Neil Mandt. It chronicles the low-budget road trip of two men who wanna travel to Thailand for the monthly Full Moon Party and eventually travel around the world in just two weeks. The film was shot completely on the fly, nothing was set up in advance. There was also no crew and no casting. 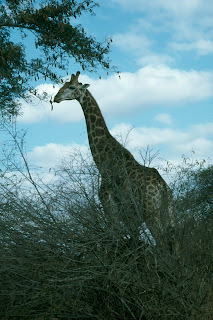 Learn about wildlife and conservation with the African bush as your classroom! This course is ideally suited as an introduction to guiding and game ranging for those wishin to pursue a conservation orientated career, or those simply wishing to improve their knowledge of wildlife and the African bush. There is no entry level required to enroll, other than an enthusiasm for nature and the outdoors. However a basic knowledge of wildlife and conservation issues would be helpful. This is a field training course and as such the African bush is our classroom. A dedicated team of wildlife specialists will be lecturing and guiding you through the course in the Kruger National Park, Songimvelo Game Reserve and the Lubombo Conservancy. Each area offers some unique insights into the wonders of the wild and close encounters with big game are par for the course. You will spend much of your time doing practical exercises, field walks and game drives and a moderate level of fitness will be needed. It is a four week course and whilst exploring these areas you will learning by observation and practical experience as you go. The first two weeks of the course are set in the 60,000 ha Lubombo Conservancy of north eastern Swaziland which contains lion, rhino, elephant, leopard, giraffe and a whole host of other big game. This area of Swaziland is particularly rich in threatened species, and forms part of the Maputaland centre of endemism. The Lubombo Conservancy is an interesting example of co-operative conservation management in action. The third week of the course is spent in the Kruger National Park which is probably Africa's most famous conservation area. Spanning nearly 20,000 square kilometres, it covers a vast array of habitats and associated wildlife. This National Park has an aura of ancient times and offers some of the best opportunities in the world to view Africa's big game. We spend five days in the heart of the park venturing in search of lion, elephant, rhino, buffalo, leopard, wild dog and a variety of Kruger's other specialties. The last week of the course is spent in the Malolotja-Songimvelo Trans-frontier park, the premier cross-border park between South Africa and Swaziland. Set in a global biodiversity hotspot it covers 80,000 ha of spectacular mountains and savanna plains and is home to elephant, rhino, buffalo, leopard, springbok, oribi and a multitude of other interesting and threatened species. It includes Songimvelo Game Reserve in South Africa and the adjoining Malolotja Nature Reserve in Swaziland. Cape Town on Forbes' list of "World's Most Beautiful Cities"
Paris, France - France - Order FREE Travel Brochure! Vancouver, Canada - Canada Vacations - Order FREE Travel Brochure! Sydney, Australia - Australia - Order FREE Travel Brochure! Florence, Italy - Italy - Order FREE Travel Brochure! Venice, Italy - Italy - Order FREE Travel Brochure! Chicago, U.S. - USA Vacations - Order FREE Travel Brochure! New York City, U.S. - USA Vacations - Order FREE Travel Brochure! London, England - England - Order FREE Travel Brochure! Cambridge, England - England - Order FREE Travel Brochure! Tokyo, Japan - Japan - Order FREE Travel Brochure!